The In-Game New Shop is Open for Business! A brand-new in-game shop has been under construction for several months within the dev team, and it’s finally open for business! We’ve drastically changed the shop’s interface and functionality, and we're really excited to share the new features with everyone. Note: You can turn on password protection or mobile authentication for an additional level of security when paying with real money in the client. 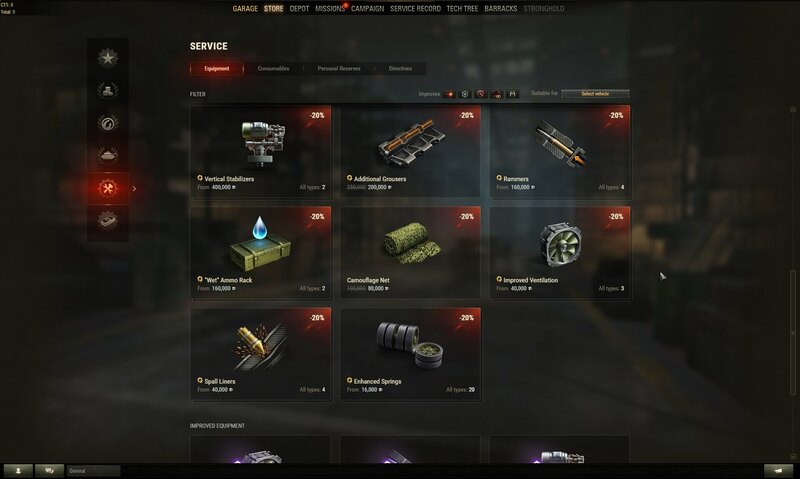 The previous shop allowed you to browse through the list of available vehicles, modules, shells, and other items, providing decent filtering tools and featuring special offers. Its design had not been updated, however, and left much to be improved. Working on the new version, we pursued two main goals. 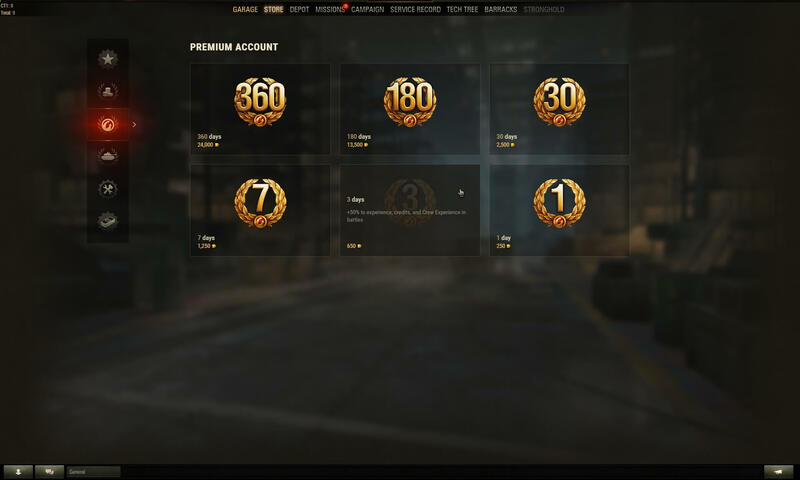 Functionality: We want "Shop 2.0" to become the go-to place for anyone looking to get new in-game content. For this reason, the new shop will provide extensive information about every item available. Convenience: Instead small consecutive changes, we opted for making a completely new design from scratch and focus on usability and the overall look. The "Vehicles" section now has a cleaner look and clearer structure. The list of machines is presented in tiles, divided into several categories (reflecting bundles), along with available Premium tanks. The familiar filter is now hidden behind the tank icon to the right of the search field, so as not to frustrate players with excessive visual information. Its functionality remains unchanged: if you want to search a desired nation or vehicle class, click on respective buttons in the filter menu. 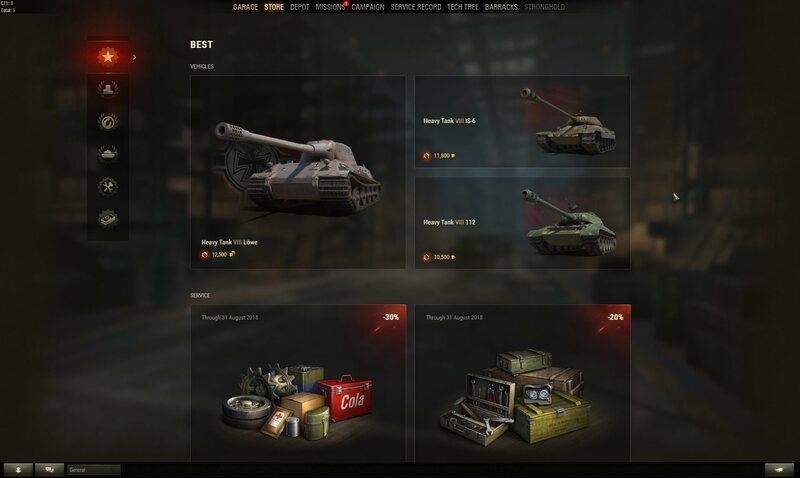 Once you click on any vehicle, it is displayed as if parked in your Garage, so you can literally “try it on.” If you choose a bundle containing several machines, you can switch among them by clicking on the desired icon at the bottom of the screen. Every vehicle will feature a historical note, a list of Crew members with their core abilities, and additional bonuses with descriptions (if you’ve chosen a Premium tank). Equipment, Consumables, Personal Reserves, and Directives are all compiled in the unified “Service” section. Jump between the tabs to reach the type of items you’re looking for. In case you need an item for a certain vehicle, activate the filter in the upper right field and choose the desired machine. Just like with vehicles, everything is divided into blocks; items available for Bonds are arranged separately. For your convenience, we’ve created a standalone section, “Items for Bonds,” where you can seamlessly access improved Equipment and Directives. You can see all these new features in action — fire-up the game anc click the STORE button near the top of the screen! Let us know what you think of these changes in our forum.